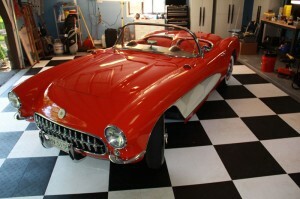 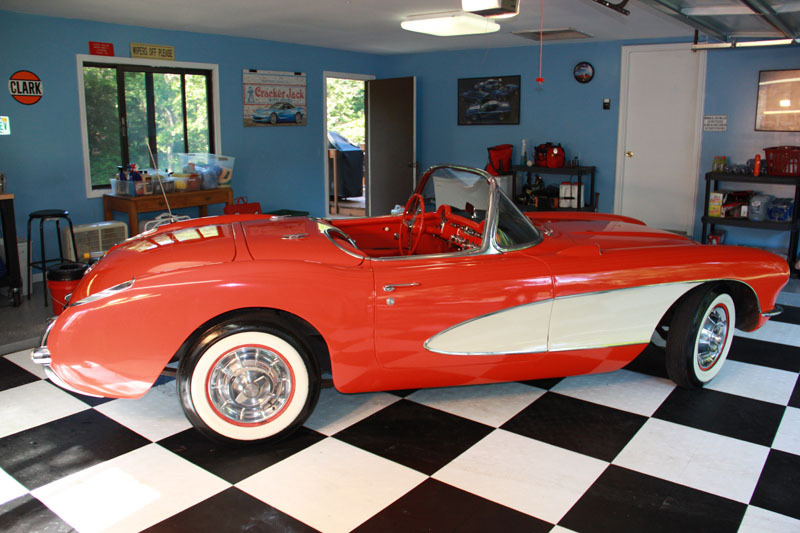 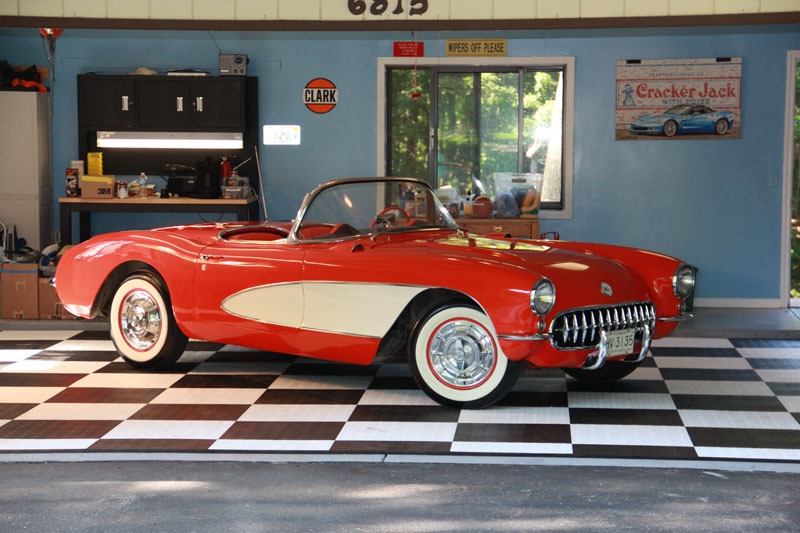 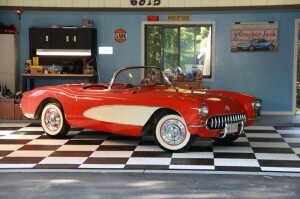 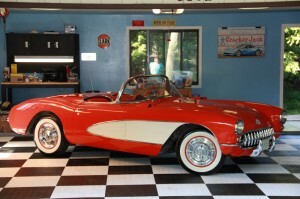 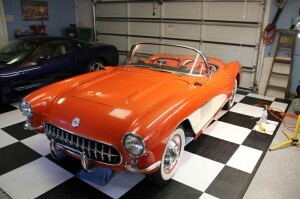 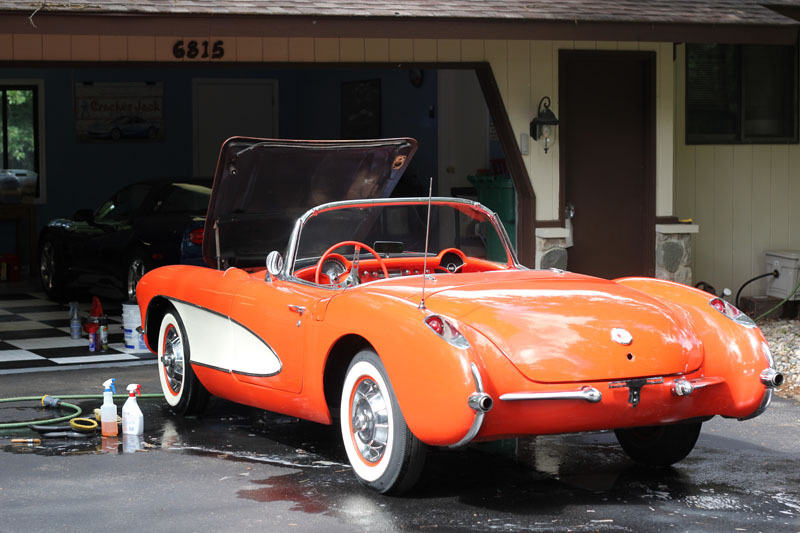 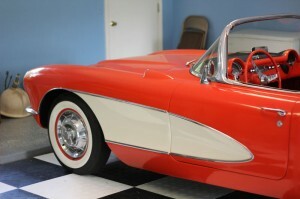 This 1956 Chevrolet Corvette is owned by a gentleman who lives near my aunt and uncle in Grand Rapids, Michigan. While I do not typically do mobile detail work, my uncle offered to open their garage for my use on this special project and I simply couldn’t pass up the opportunity. 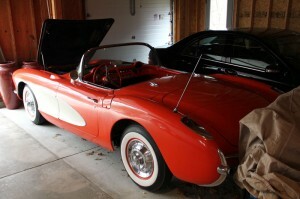 As with any special interest classic, this car has an interesting story. 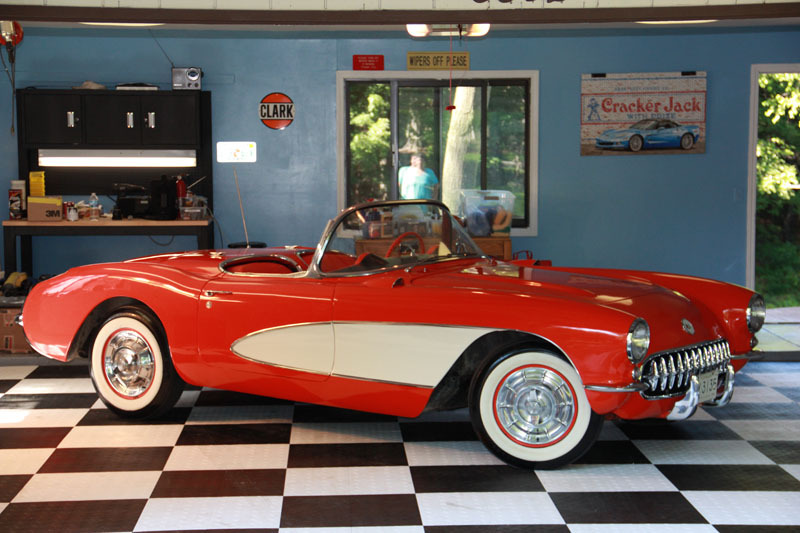 I’m told it has been in the current owner’s family since 1958, and is to be passed down through the generations and will never be sold. 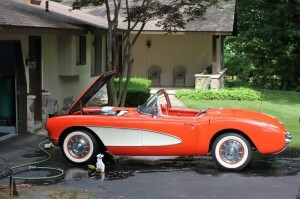 It currently has just under 80,000 original miles on it. 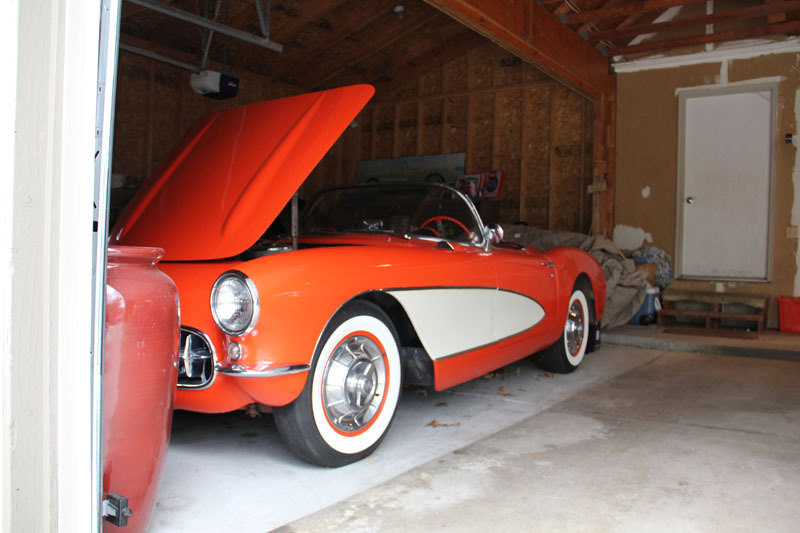 When I first saw the car, it had been sitting under a cover in the owner’s garage. 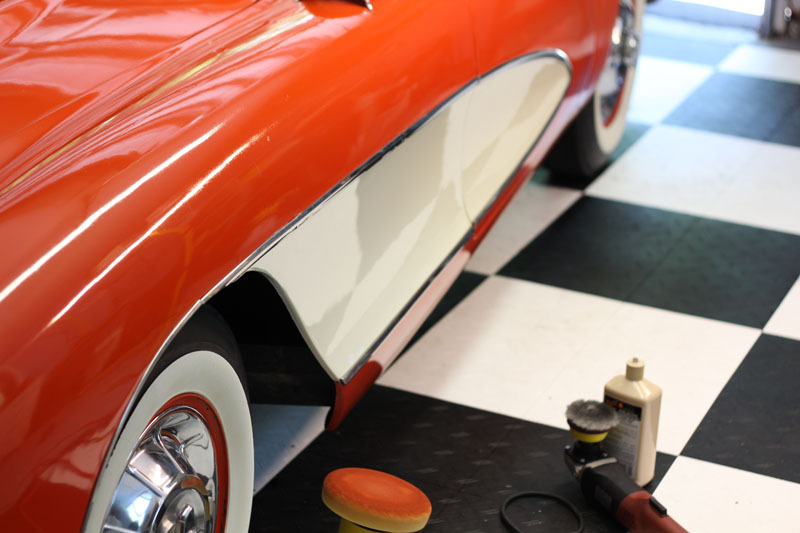 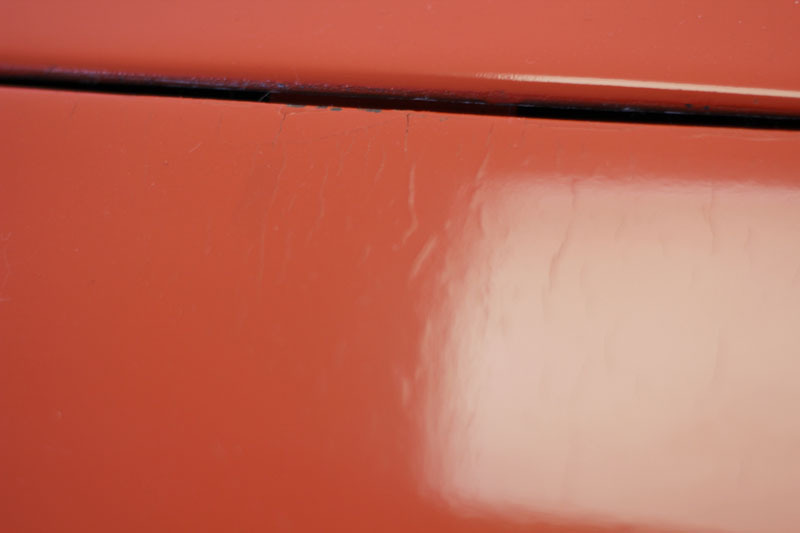 The car did not appear too bad from a distance, however a closer inspection revealed that the paint (single stage lacquer which was applied in 1975) was cracking and flaking in many areas due to insufficient care and poor preparation prior to being painted. 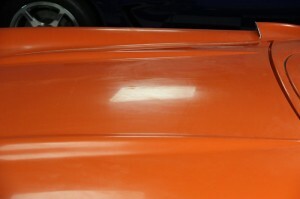 After consulting with the owner regarding his preferred course of action given the level of deterioration and damage to the paint, it was decided that we would go ahead with removing what defects we could safely remove in order to make the vehicle a “nice driver” as opposed to looking for show-quality results (which of course would have meant a paint job instead of any sort of corrective work). Fast forward about two months to 6/28/11 when I packed up my supplies and made the hour trek from Lansing to Grand Rapids for an 18 hour spree on this 55 year old piece of automotive history. I arrived to find a dream turned reality. 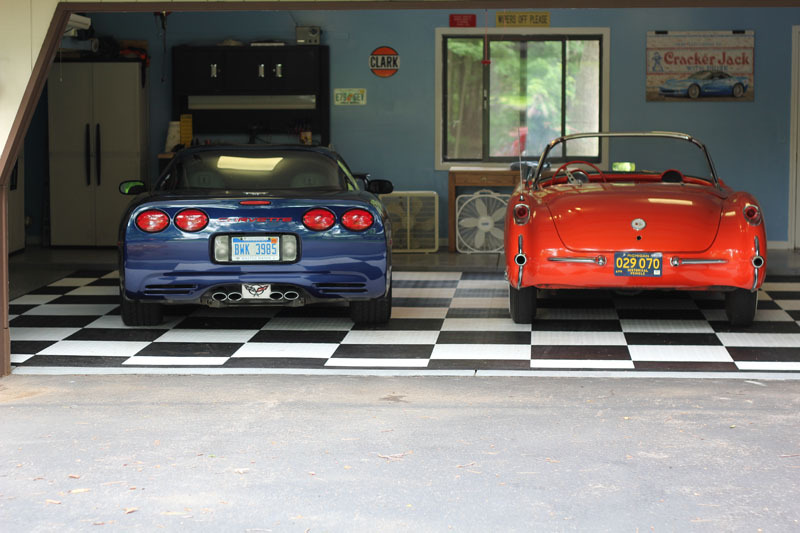 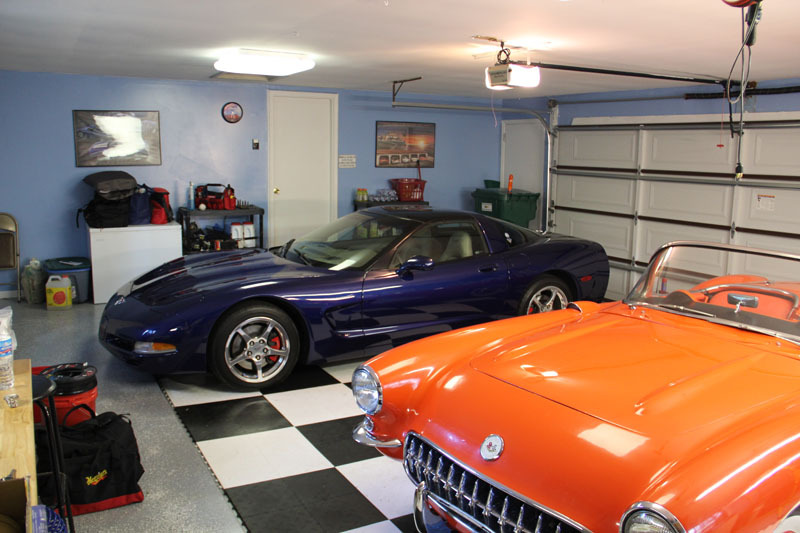 What better than a garage full of Corvettes?! 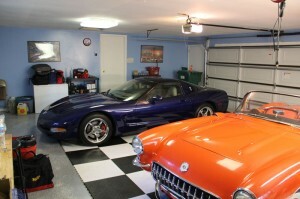 The C5 pictured is a 2004 LeMans Commemorative Edition coupe which belongs to my uncle. 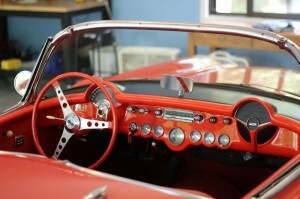 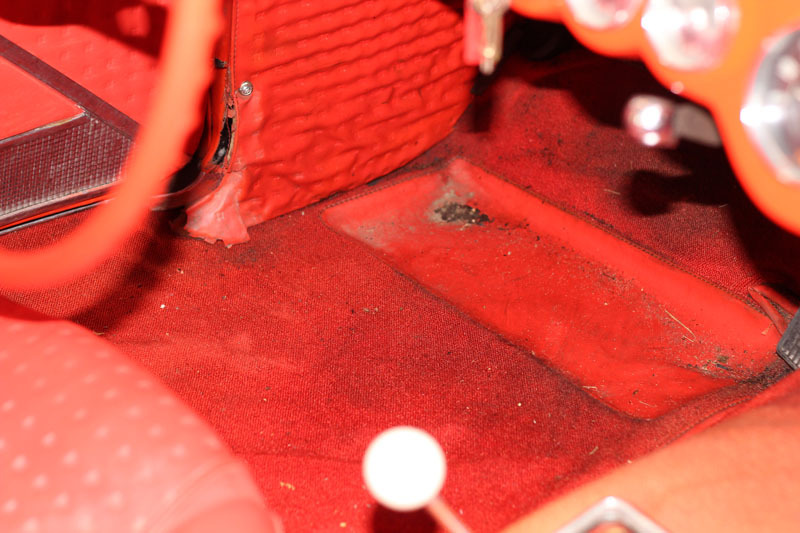 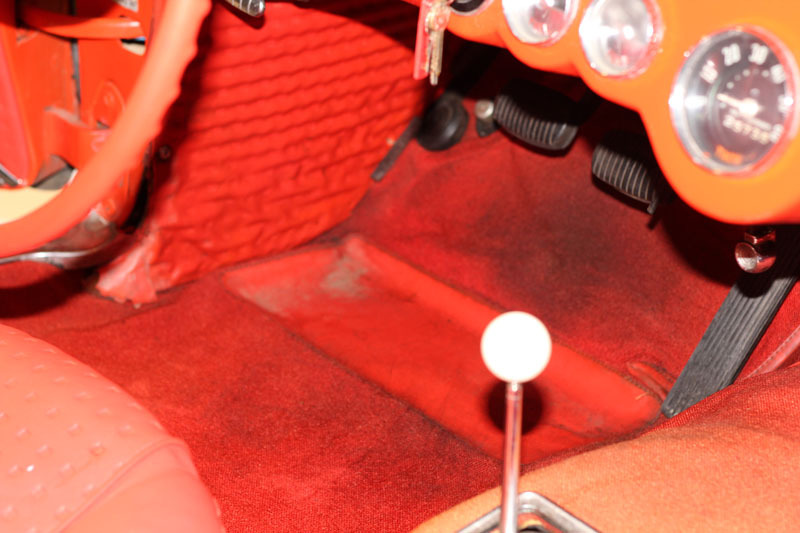 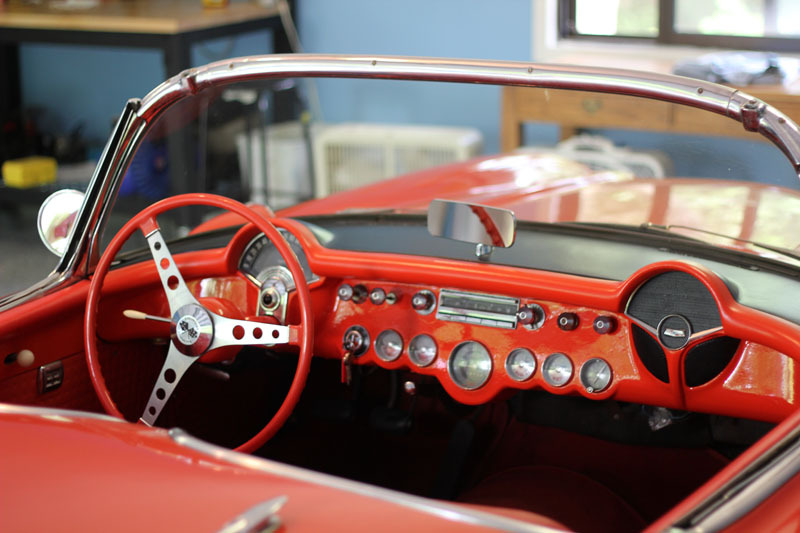 The interior of the ’56 was not a major area of concern for the owner; I did perform a basic cleaning however. 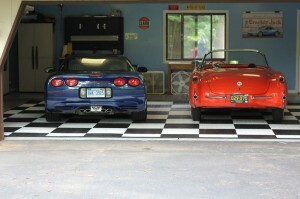 Next up was a thorough wash and decontamination with Clay Magic’s blue clay. 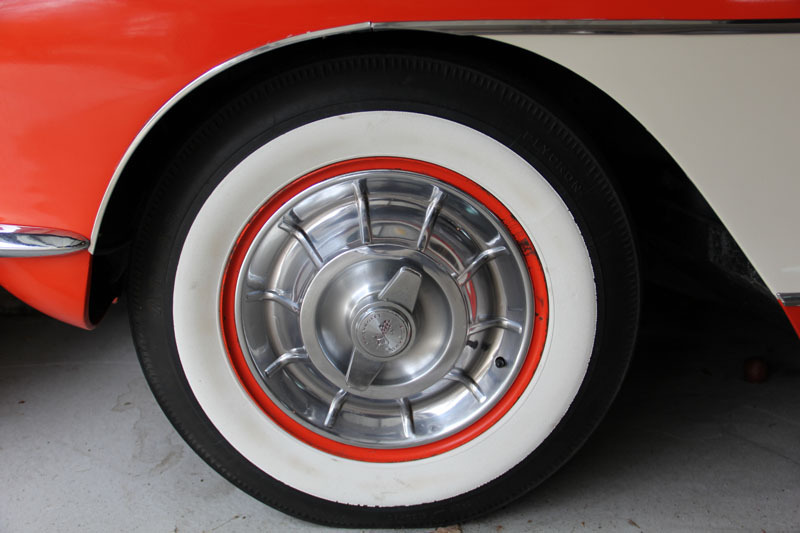 Due to the convertible top being unable to be fully raised, only the wheels and tires were addressed with the hose. 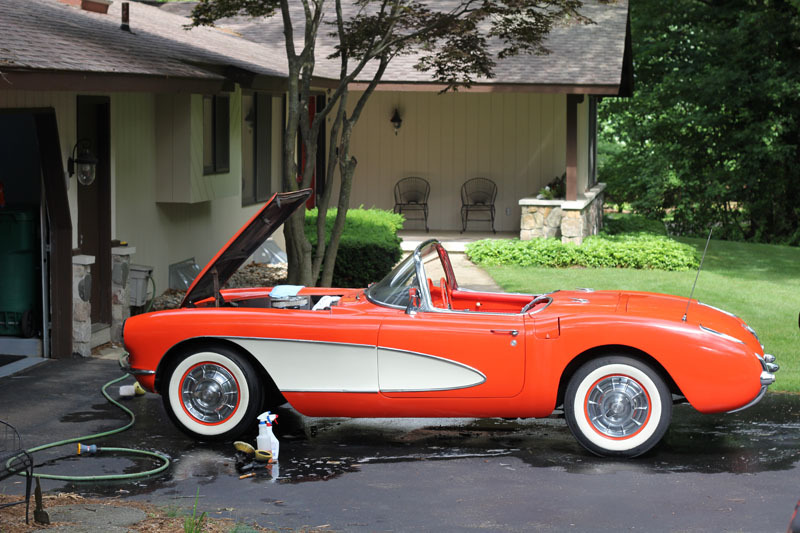 The rest of the body was washed with Optimum No-Rinse in order to avoid getting water into the vehicle’s interior. The car was then moved back inside and inspected. 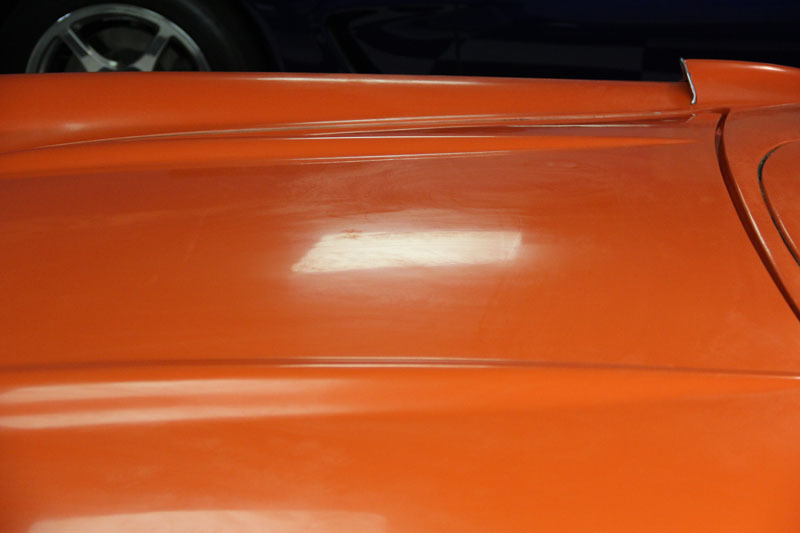 Since the paint was very dry and the lacquer was deteriorating at an ever increasing pace, I applied a good amount of Meguiar’s #7 Show Car Glaze in order to moisturize the paint, leaving it to soak in overnight. The next morning the glaze was removed to reveal a much more vibrant finish ripe for some cautious polishing. 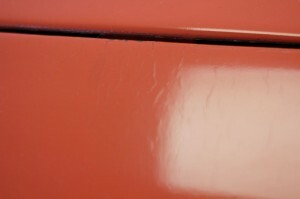 Several polishes and techniques were tested and ultimately I decided upon the old-school approach of Meguiar’s #83 Dual Action Cleaner/Polish on a W-8006 polishing pad, worked with my G110v2. 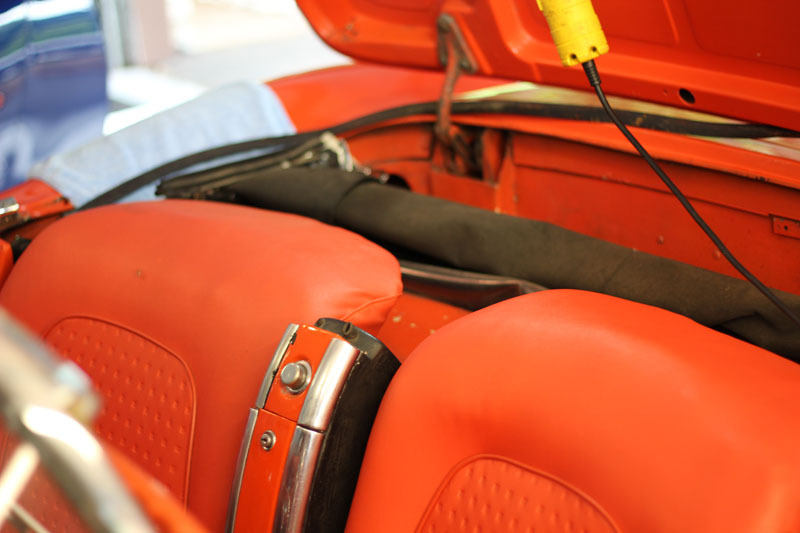 Here are a couple views of the “cove” area of the vehicle that demonstrate the difference this process is making for the finish. 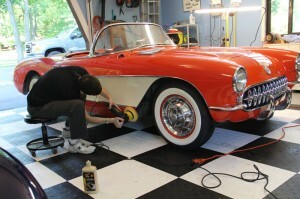 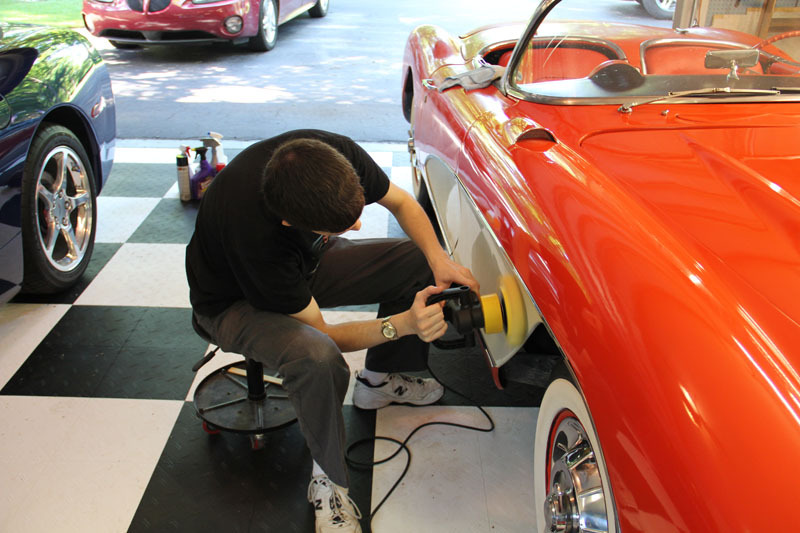 Notice also that in the second picture is my Flex 3403 rotary polisher with a Meguiar’s 3″ Easy Buff wool pad attached. 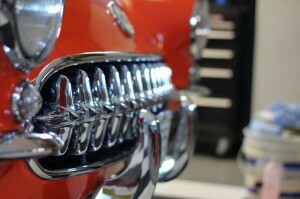 This was used along with M105 to polish all stainless trim. 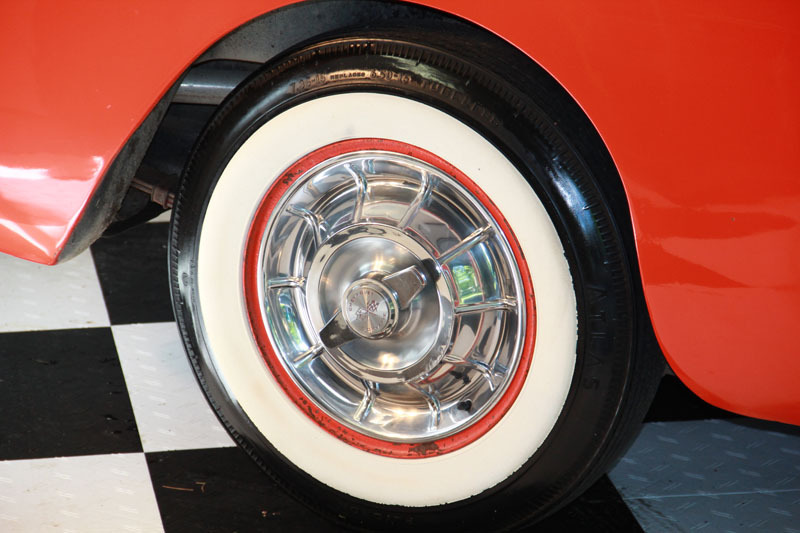 The wheel covers were also polished with the wool pad and M105, again leading to a drastic improvement. 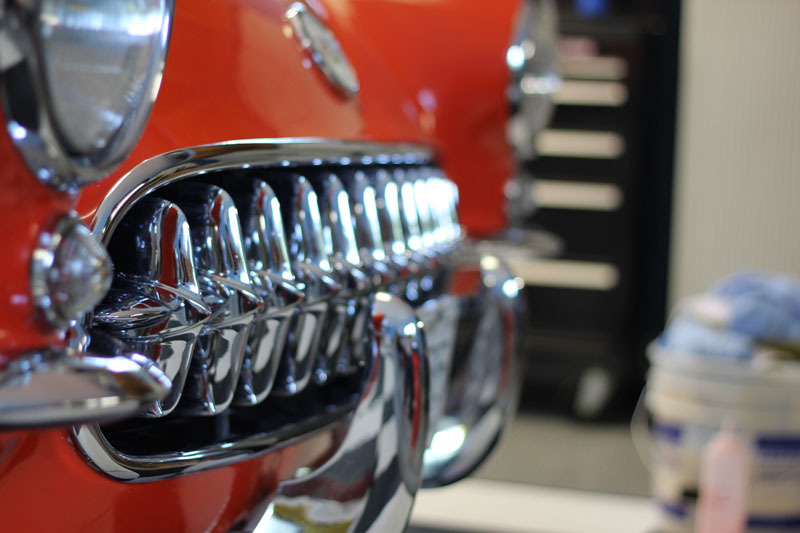 Chrome trim on the grille and bumpers were addressed as well, using a Meguiar’s DynaCone polishing tool and Surf City Garage’s Killer Chrome polish. This car was a real treat to work on, and despite having a lot of irreversible deterioration the transformation was truly worth the effort. 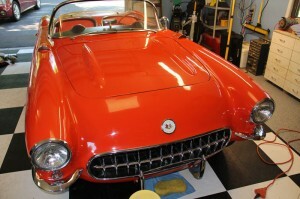 The owner was thrilled with the results and is now ready to enjoy the car once again. 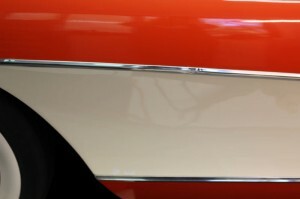 I will be returning in the near future as well to complete some touch-up work once I am able to get color matching paint mixed up.